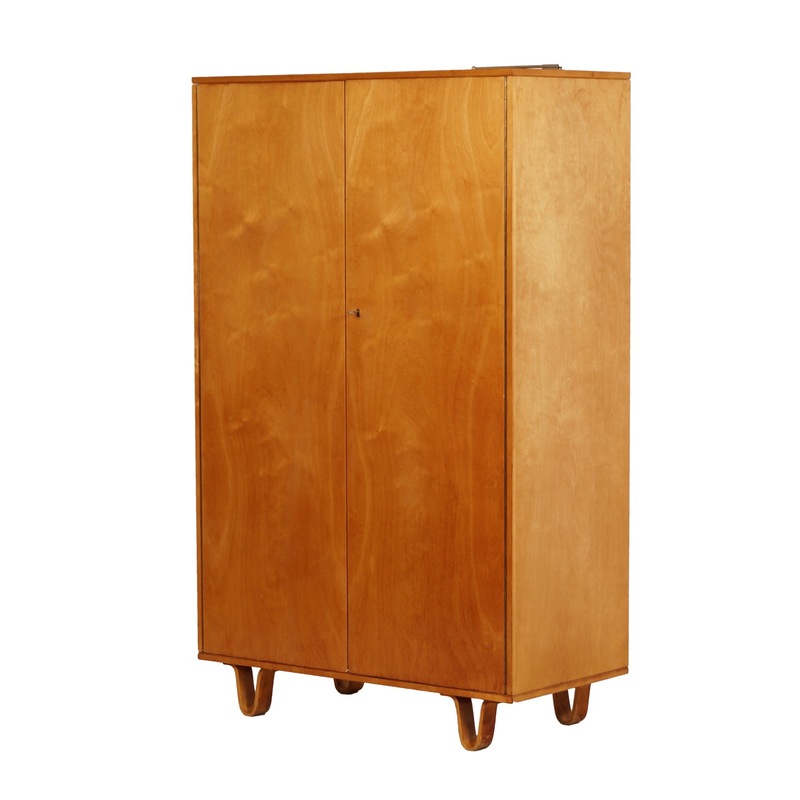 Pastoe wardrobe model KB 01 designed by Cees Braakman for UMS Pastoe in 1952. This Pastoe wardrobe is from the ‘birch series’ (with the familiar loop legs) and has two doors with inside a hanging part. Nice detail is the mirror (right door) with underneath a comb tray of bent plywood and a tie hanger (on the left door). On the right side is an extendable hook for clothes hangers (see photos). Considering its age, this Pastoe cabinet is still in original and good condition, some normal traces of use. This cabinet has been cleaned and checked. With key. Marked: Pastoe (see photos). Source: catalogue U.M.S. Pastoe 1952. Dimensions: h x w x d = 170 x 104 x 52 cm.